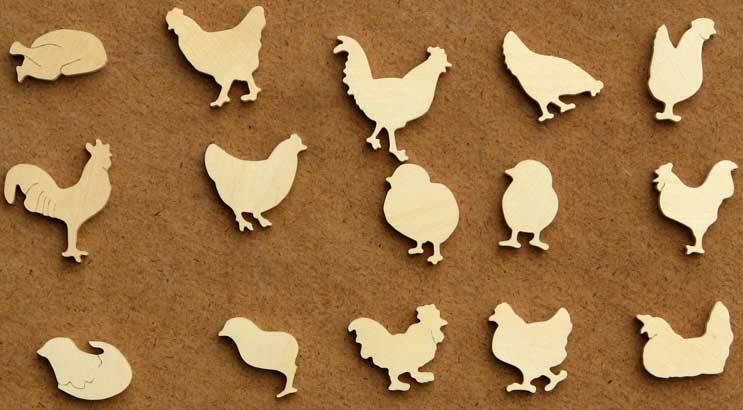 Wooden jigsaw puzzles made to order, including photopuzzles and blank puzzles. These puzzles are commissioned as gifts and for occasions ranging from marriage proposals to corporate events. IIn these puzzles guests sign a piece of the puzzle instead of a page in a book. The puzzle may be blank or have an image, be rectangular or shaped, and be personalised with a message sculpted into the puzzle. 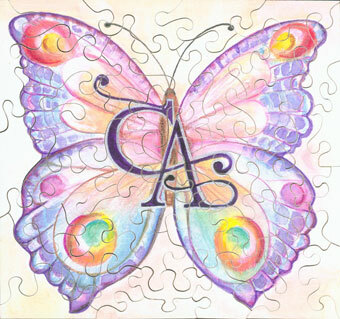 , These range from blank, rectangular puzzles to shaped puzzles with sculpted lettering and/or surface images. Where there is a surface image guests usually sign on the back of the puzzle. Photographs or other images can be used - photos should be high resolution and are printed then mounted on wood (as distinct from directly printed onto wood). 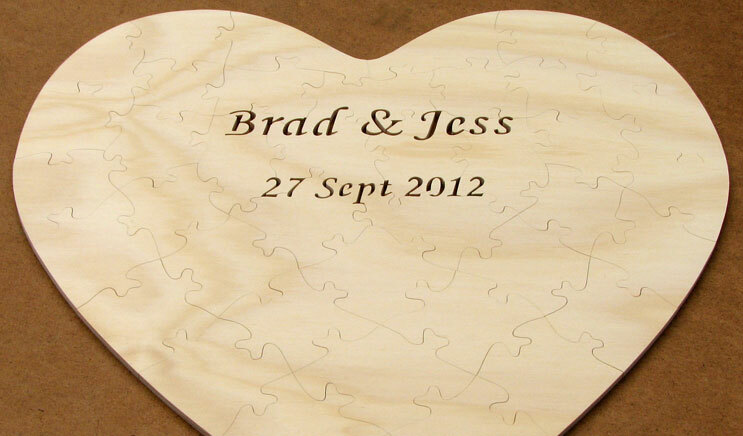 Heart shaped puzzle with sculpted lettering. Usually commissioned as gifts but sometimes also used a guest books. In the puzzle below the artwork as well as the puzzle was commissioned for the occasion. Part of a guest book featuring sculpted numbers and a piece in the shape of a tree.